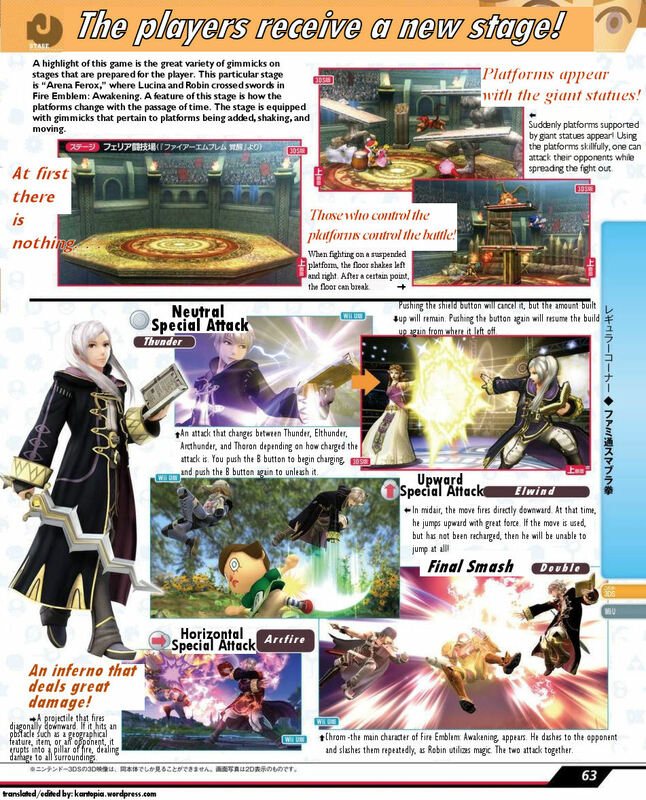 Nintendoeverything.com provided some Super Smash Bros. scans for Wii U and 3DS featuring the newly announced Fire Emblem characters. I decided to translate and edit the pictures here. I split them into four pages. 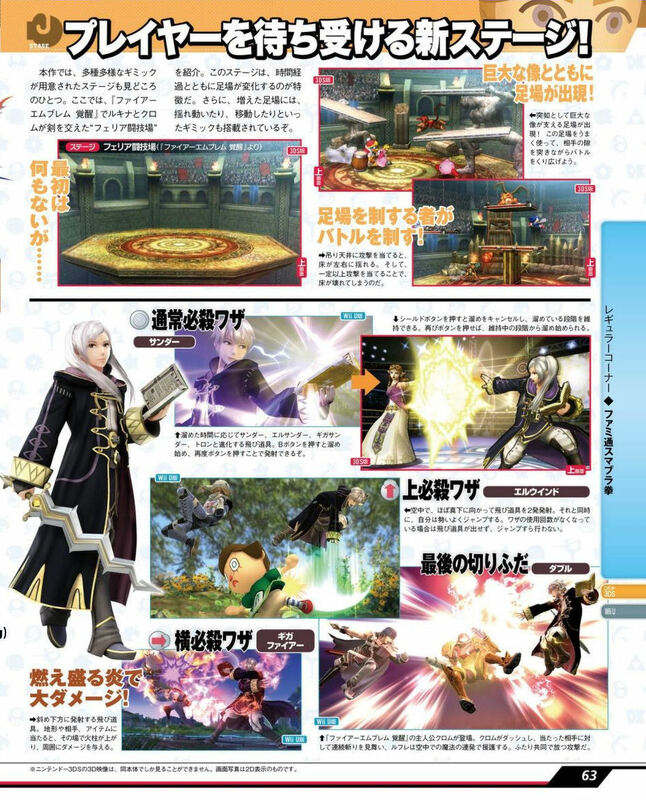 Here is the second of two pages for Avatar/Robin/MyUnit! Robin’s first page can be found here. Lucina’s page can be found here. The first is my edit (full view for best readability), and second is the original Japanese page. Captain Falcon is last, will be coming soon!